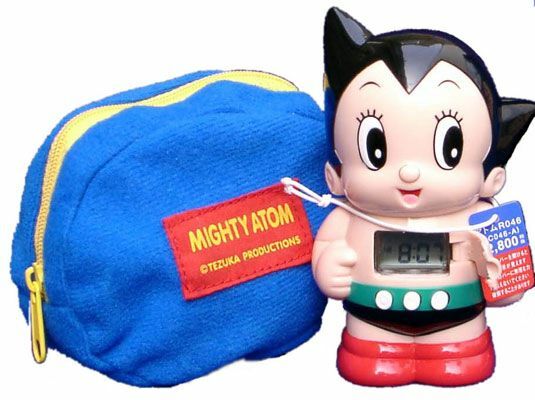 Astro Boy / Mighty Atom alarm clock / timer. Very cute ! Comes with batteries and Astro Boy carry bag. From Japan. Stands 12cm (4.5") high.